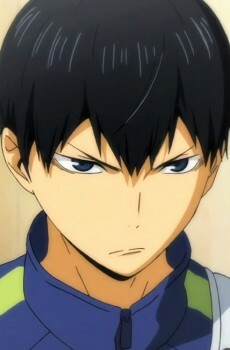 A famous setter in his middle school who joins the Karusuno High Volleyball team. He was known as the "King of the Court" in his middle school because of his arrogant demeanor and the way he would order around his teammates. Although he still carries an overbearing attitude, he begins to change when he starts to play with Hinata Shouyou who views him as a rival.